We headed back to Buenos Aires. 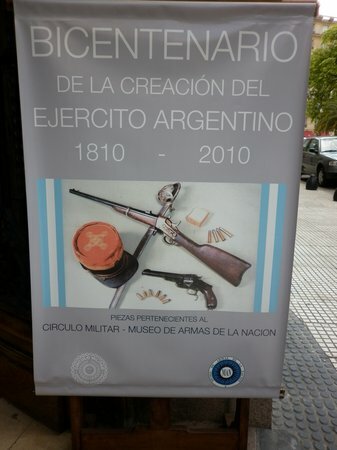 I’m sure I’ll write a post on the various museums we visited and restaurants we ate in, but for now, I’ll just mention the kid’s favorite pick: an exhibit on the Argentinian Army which we came upon by accident. 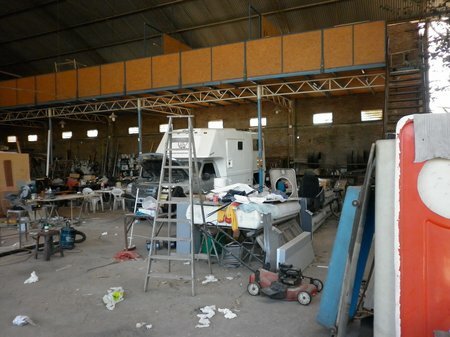 Six, maybe seven rooms filled with weaponry from the late middle ages through to modern day. The boys were in boy heaven. I will remember Buenos Aires for the long,long walks we took through the neighborhoods in the city center microcentro. It would be nice to say that we had sampled more of the culture, to have heard an opera at the Teatro Colon, to have seen a tango show or two and to have spent afternoons lingering in the many art museums. But, we didn’t since when traveling with kids sometimes you have to skip such activities and instead spend time just exploring. It’s a different kind of fun and it has the excellent benefit that if we ever get to return to Buenos Aires, maybe when our children are grown, we’ll get to experience this great city in an entirely different way. Iguazu Falls and the jungle which surrounds it seems a million miles from Buenos Aires. 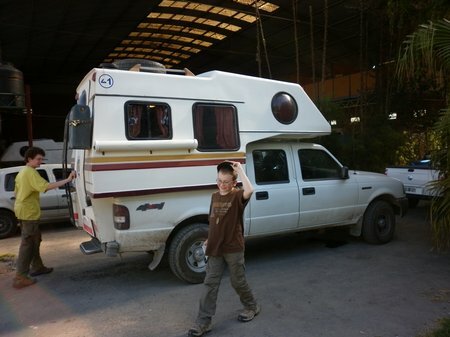 By this point in our trip we’d driven over 5,000km around Argentina. I think, Southern Patagonia excepted, we were fairly confident that we “knew” Argentina. Hah! 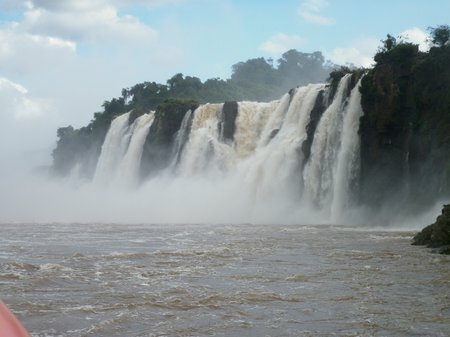 Iguazu took us by surprise and bowled us over with the size and majesty of the cataracts. 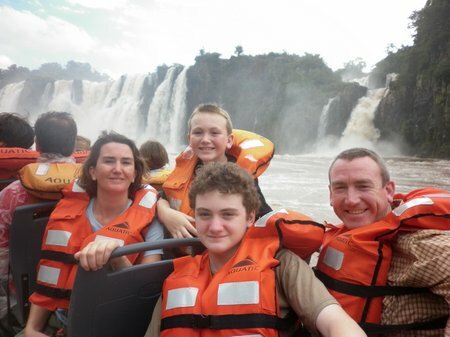 Not that we’re adrenalin-junkies or anything, but since there was an option to experience the falls by boat, we did. It was a blast. To quote BigB on coming out of the torrent of water: “That was SO COOL!!”. Information on traveling to Argentina with kids.